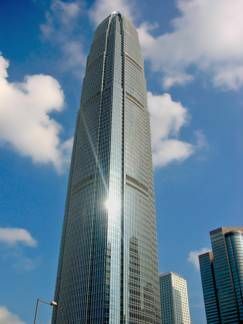 Established since 1974, Hang Yick Properties Management Limited is a wholly-owned subsidiary of Henderson Land Development Company Limited that specializes in the property management industry in Hong Kong, China. Their Headquarters are based in the International Finance Center (2FC). Approximately 2000 employees working for the company. Needed a Time Attendance system that’s capable of coping large volumes of transactions from their employees. Also required an access control system for use at their main headquarters providing security against unauthorized access at the premises. Previously used Motorola Card Readers for their Time Attendance and Access Control setup and wanted to upgrade to a more efficient system. Preferred to have biometric fingerprint technology, citing better management potential and reduced administration in regards to issuing and setting up smart cards for its employees. Multiple Jakin ID biometric Fingerprint Model with Jakin ID TA solution installed on site. Convenience of employees no longer requiring smart card’s as all they need is their unique fingerprint to authenticate to go on site. Jakin ID’s integrated biometric fingerprint technology prevents problems of “Buddy Punching” where employees may pass on their ID’s to clock in despite not being present on the site. Terminals are integrated with door lock mechanisms to prevent intruders accessing the site for Access Control. Jakin ID TA software allows senior managers to quickly analyse employee records and attendance reports. Jakin ID’s TA also allows report payroll integration to reduce administration times and utilise maximise productive efficiency. Initially there were data synchronization issues during the early phases but was quickly dealt and assisted by Jakin ID’s Technical Support team which was praised by Hang Yick for their quick and efficient support when needed. As a result, Hang Yick Properties Management Limited was highly satisfied with the system and would recommend it to others.